Vendors and tech players in the industry did not shy away from the topic of Amazon.com Inc. (AMZN - Get Report) at this year's Etail West conference in Palm Springs, Calif., which wraps up on Thursday, March 1. There, an entire afternoon was devoted to analyzing Amazon, and very few presentations went by without mentioning the e-commerce giant by name. By and large, however, panelists and speakers painted an undercurrent of ambivalence toward Amazon, with no consensus on whether the behemoth will be disrupting their industry still or taking business away from them. "Are they a competitor or a channel?" asked one attendee of the panel titled Stealing Smart From Amazon. Turns out, it's a little bit of both. On one hand, Amazon is an efficient retail platform for selling a product and creating initial brand recognition. Take Instant Pot, for example, the pressurized cooker owned by Double Insight, Inc. that gained a cult following after selling on Amazon. Amazon is also one way to start selling internationally, said Brian Beck, the senior vice president of strategy at Guidance, an omnichannel solutions provider. Yet there's also a downside. It could mean that Amazon ends up having too much power over a vendor if it becomes the brand's strongest avenue for sales, according to Chris Veit, the senior vice president of distribution at Komar, a pajamas manufacturer that sells multiple brands on Amazon. "If it's your only channel, they [Amazon] control you," he told TheStreet. "But for a small brand starting out, there's no other alternative." For direct-to-consumer players, Amazon could also be a source of inspiration — especially from a distance. "It's an amazing company to learn from because they're doing almost everything right," Tony Drockton, the CEO of accessories brand Hammitt, said on a panel Tuesday, Feb. 27. "Stealing from them is something we should do." Case in point? Beck mentioned Amazon's patent on one-click checkout, which recently expired, thereby opening the door for smart, attentive e-commerce players to build out similar capabilities. Others have accepted the role of Amazon as a pacesetter in the industry, continuously driving up the standards of service among rivals. 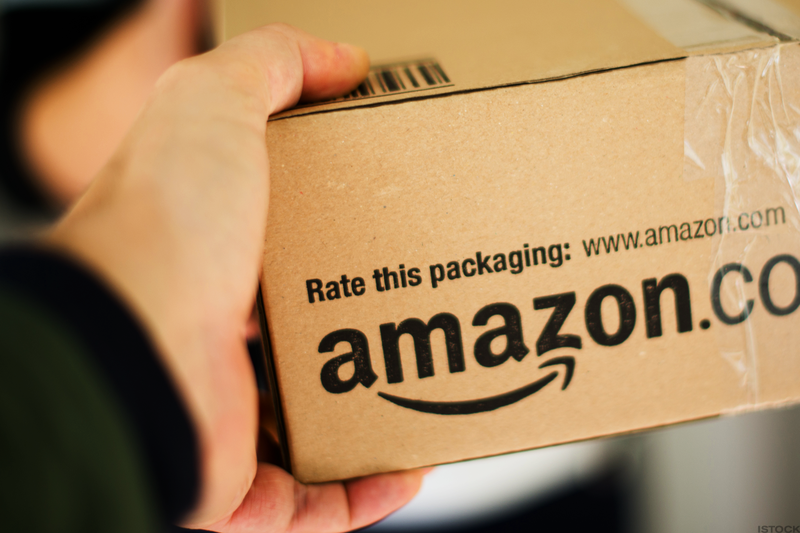 "Amazon sets a high bar for innovation in consumer behavior," said Anthony Larkin, a marketing manager for the cloud service delivery platform Akamai. Because of Amazon's comprehensive services and user-friendliness, overall online spending has increased, Larkin added. In 2017 alone, e-commerce retail sales grew 16%, according to the U.S. Department of Commerce. The converse of that, of course, is the necessity now for everyone else to catch up — a formidable task for smaller firms. That's why the global digital ad marketing targeting firm Criteo SA (CRTO - Get Report) has proposed to its retail clients a "data co-op," or an alliance, of thousands of retailers who pool their customer data to take sales away from Amazon, which runs its own ad targeting functions. "We're not here to blindside Amazon and steal their market share," Criteo head of analytics Jaysen Gillespie told TheStreet. "But if we can generate more sales, some of that will be shifted away from them."